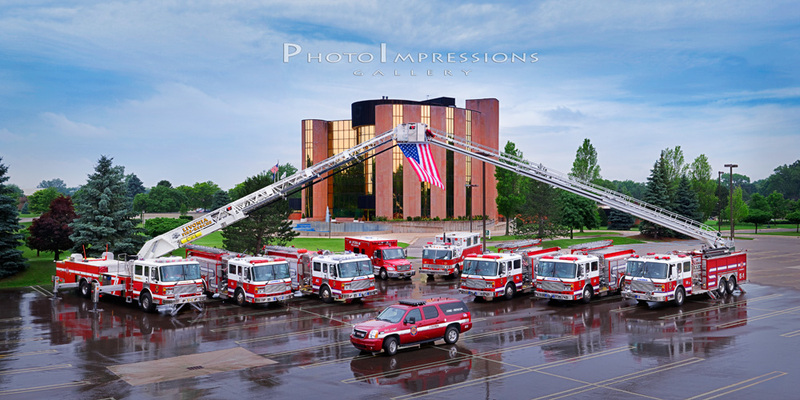 I shot the Livonia Fire Department Fraternity Composite center photo from a cherry picker at Livonia City Hall. I used a walkie talkie to direct each truck into position to form the layout I wanted. The last steps were to hang the flag and water down the pavement. 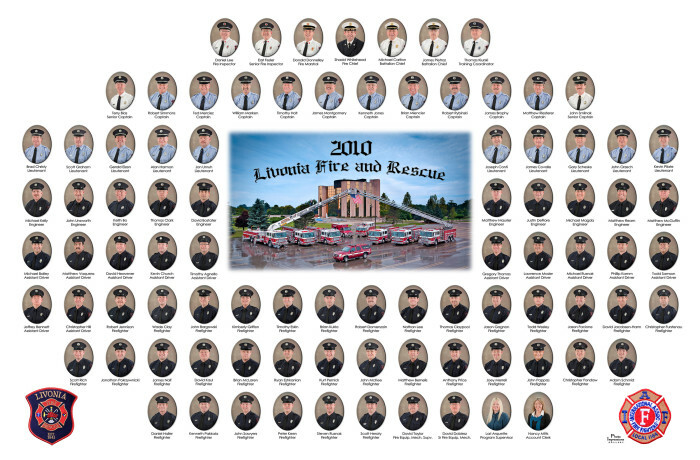 This photo is proudly displayed in the Livonia City Hall.